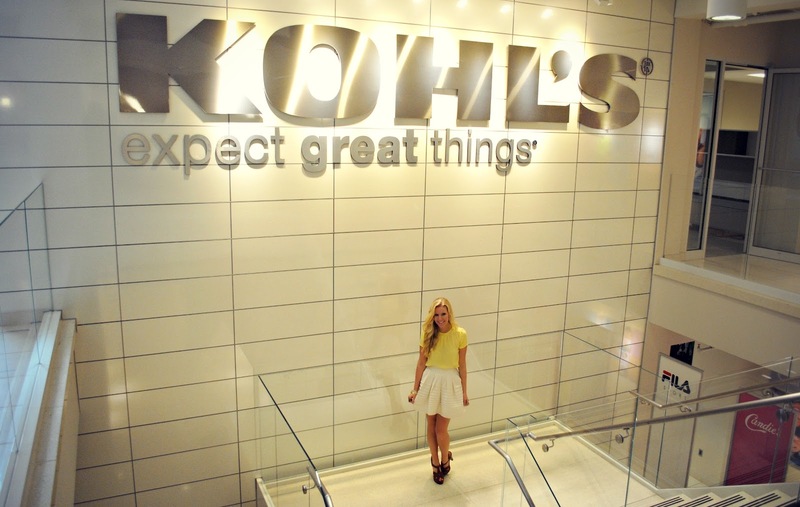 To read all about my trip to the Kohl's Design Center and hear about my day with one of the designers for the LC Lauren Conrad collection check out my first guest post on LaurenConrad.com, here. Sneak peek at the summer 2012 fabric samples! 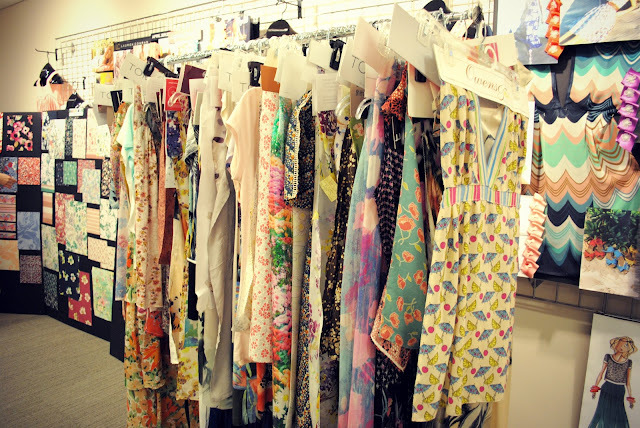 Loving the vibrant colors and flirty prints. 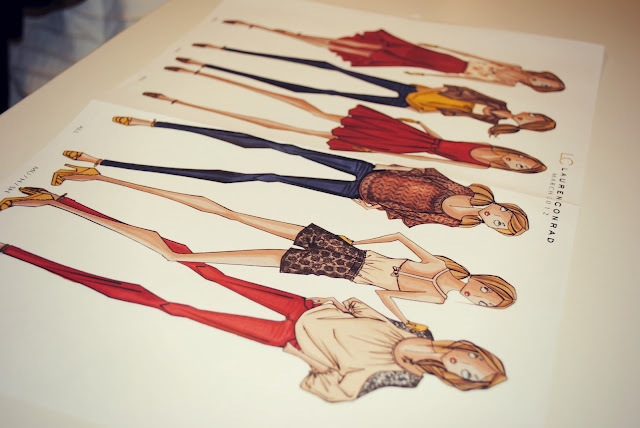 Amazing fashion sketches of the LC Lauren Conrad collection. I was actually able to keep this sketch, it will be forever framed in my closet! 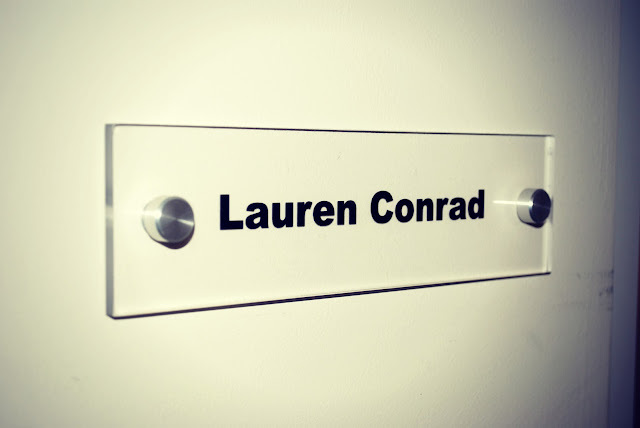 Learning all about the LC Lauren Conrad production process. Completely fascinating! 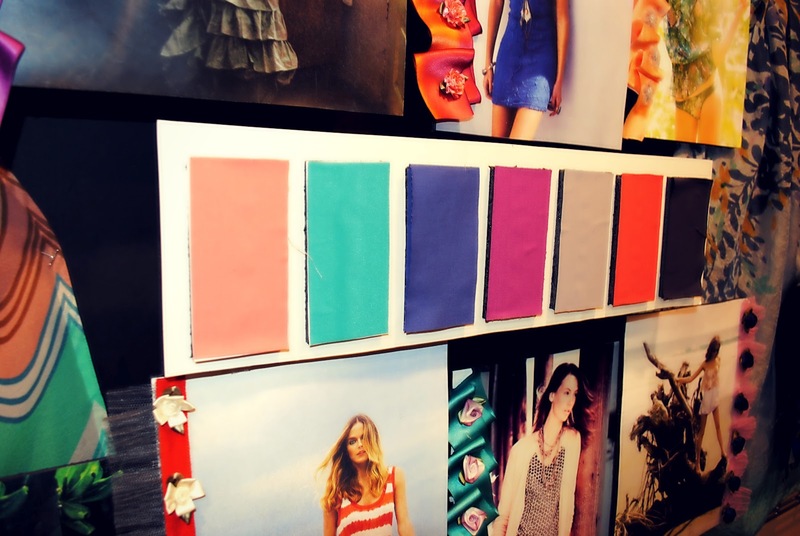 Their spring color palette nestled amongst their inspiration board! Soaking up the breathtaking views. Beautiful and breezy, the perfect way to take in NYC. The gorgeous grand entrance of the design center. Above I paired my favorite Ted Baker cupcake skirt (see it here) with my pastel yellow blouse by Pippa (see it here). Tomorrow I'll be posting pictures of my NYC adventures! Checkt Out my Travel blog! You look gorgeous!! Lovely skirt! This is amazing! You are so lucky! I love the designs and the colors! This looks amazing hun! Must have been an awesome opportunity! beautiful outfit too, yellow really suits you! All of those sketches and fabrics look incredible. This must be sooo exciting for you! Enjoy! This must have been such an amazing experience. Love the skirt too! you're divine, love the skirt! omg. 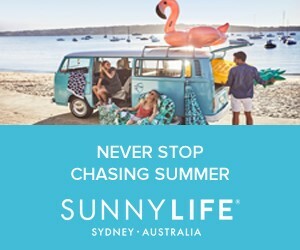 you are living the life. So proud of you. I have to have this skirt. So cute. Why isn't there a Ted Baker anywhere near me! Great post, girl. You deserve this so much Anna. I can't wait to read more. SHUT UP! I love Lauren Conrad. You are so lucky. I can't believe how fast your blog is growing. You're awesome. Wishing you the best of luck. It was great trip ;) you look gorgeous! Amazing! Looks like you had a great time Hun. Wow thats so cool :) You are so lucky! so cool - congrats on this opportunity! Wow! I love your look! Such a dream come true! Congrats! I love Lauren she is so classy! Anna you look gorgeous, that skirt is so pretty. What an amazing experience and opportunity for you! you look SO cute! what an amazing experience!!! and that LC print is such a cute reminder! Wow way to go girl!! I love all of LC's stuff. She knows how to implement chic into an everyday, easy style. such awesome experience!! you look great! How exciting! I was so tickled you won the contest :o) Have a great time living it up in the big apple! So exciting, I voted like crazy for you because no other contestant deserved this as much as you do! I really LOVE your outfit on so many levels. Seriously fabulous. what a wonderful experience!! and beautiful stuff there! Looks so amazing! 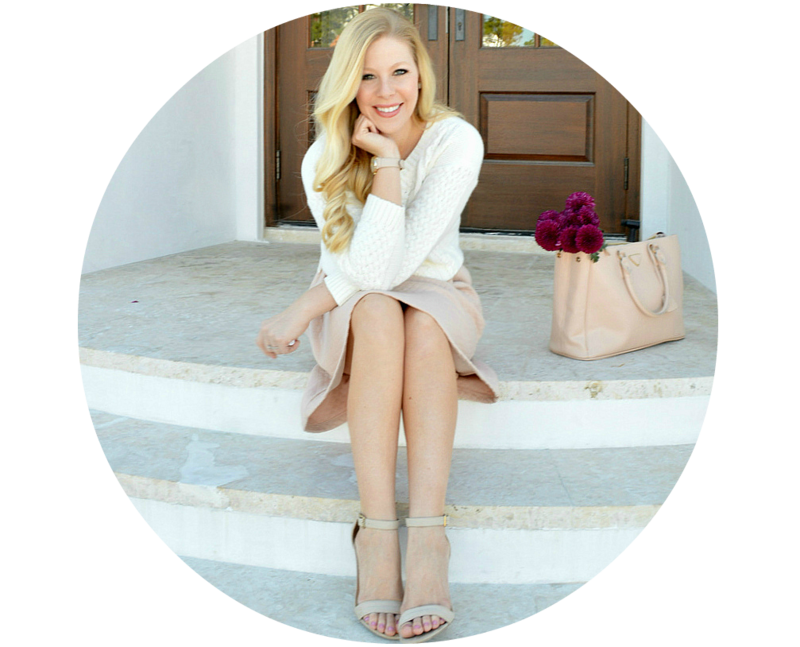 I loved reading about your experience on laurenconrad.com and can't wait to hear more from you! :) Glad you had a great time! I cant wait till her collection comes out!! Please let us know!! Id love a pair of mint green skinnies, maybe they have that in stock!. I read your post on the website!! It looks like an amazing experience!! I love the colors!! You look like you had a great time! I can't wait for more posts!! Congratulations on getting to go "behind the scenes"! What a great post! Your outfit looks adorable. How exciting!!! Looks like so much fun and will stay with you forever! seriously so awesome!! would be a dream come true for me!! and great photos! Oh my, you look SO cute in these pics. Just LOVE that skirt. Can't wait to hear more about your adventures!! Where did you get the fabulous blue coat you wore to NYC? This looks so incredible cool! Wow...an amazing experience! Looks like so much fun! This must have been so much fun...love it! What an amazing post and what a fabulous experience. Thanks so much for sharing and you look stunning. Love your entire outfit! Congrats love! loved the behind the scenes photos, I hope you keep taking more :) Great outfit choice too! Lucky you :) You look fab!! Looking fabulous!!!! you have a amazing job! You're such a lucky girl....more power! Amazing look, this skirt is super cute!!! Beautiful !! Love your picture ! !